Beginning with 1st August 2017, bet365 replaced their old VIP System with their new Loyalty Club. The Loyalty Club will be comprised of five different ‘Loyalty Levels’ and makes it easy to earn rewards when playing your favorite games. This thread will give you some more information about the most important details. 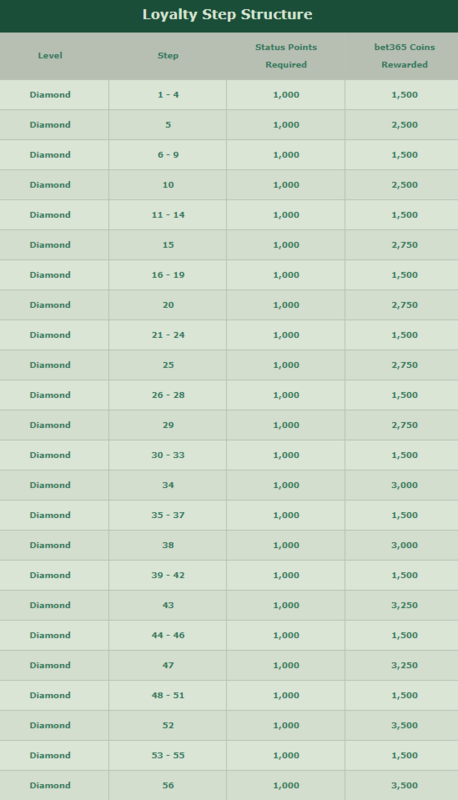 When a player reaches Diamond they are instantly rewarded with 2,500 additional bet365 Coins. This is also credited every quarter that they maintain their status. 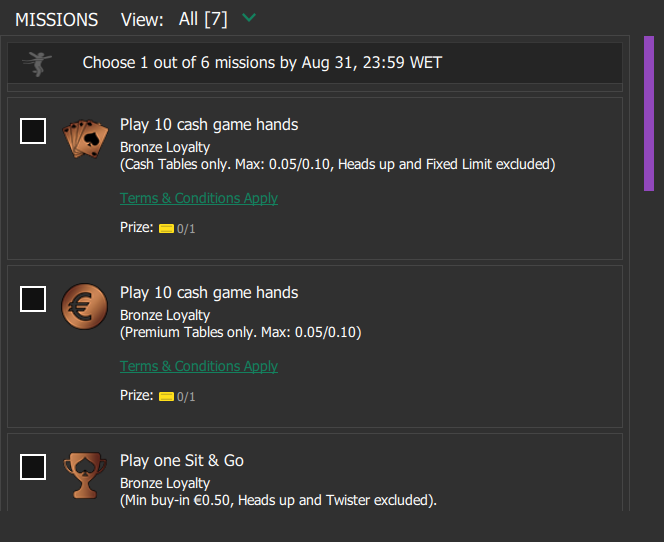 No matter which table you sit at, play your choice of poker game to complete Loyalty Steps and earn more Bet365 coins. 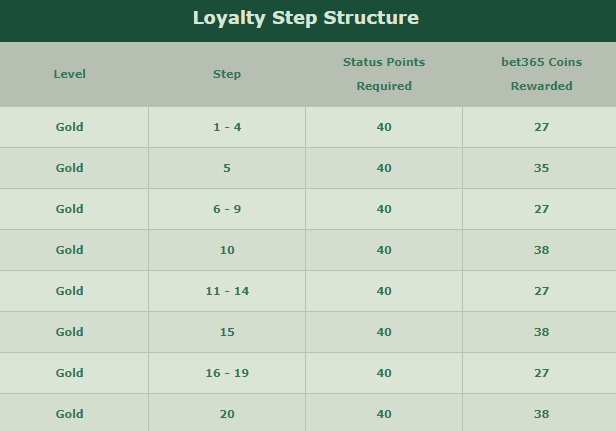 Below you can find the tables showing the Loyalty Steps Structure. The more steps you complete the closer you get to reach higher rewards. Players are presented with a list of Loyalty Missions in the client. They select one and attempt to complete it within the month. Players can only work on one Loyalty Mission at a time. Completing those missions will help you to earn some extra coins and increase your casbhack. Once a player complete a chosen Mission they are presented with a new list of Missions. All Missions will be the same as before except for the one they completed which will be replaced with a Mission of the same game type with increased difficulty and higher reward. The Store will allow players to spend their Coins in real time for instant rewards. 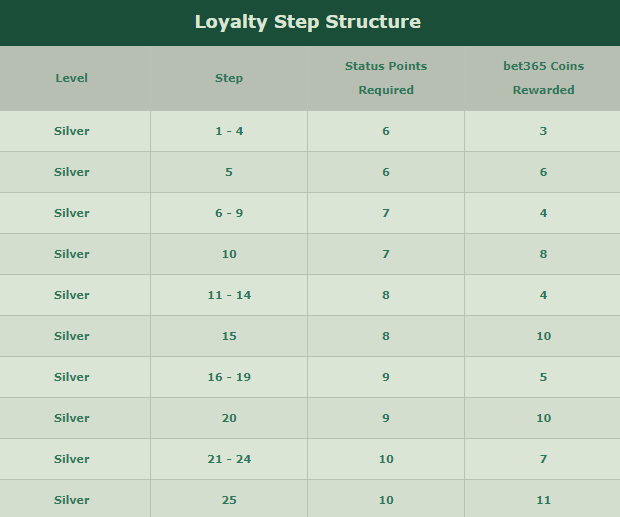 Each Loyalty Level will have its own specific rewards to choose from. The Store is packed with rewards that cater for every player. You can find everything from Cash Game Ticket Rewards, Bonus Euro Rewards, Tournament Ticket Rewards and Cash Rewards (Platinum and Diamond only). Plus, progress through their Loyalty Levels and you will unlock even more rewards that will be credited to your account instantly. For more information and details, please visit the new bet365 Loyalty Club page. If you notice that anything is missing here, just let us know and we will update the overview! The post was edited 1 time, last by sleeper1979 ( Aug 8th 2017, 4:13pm ). + a few extra % on missions. 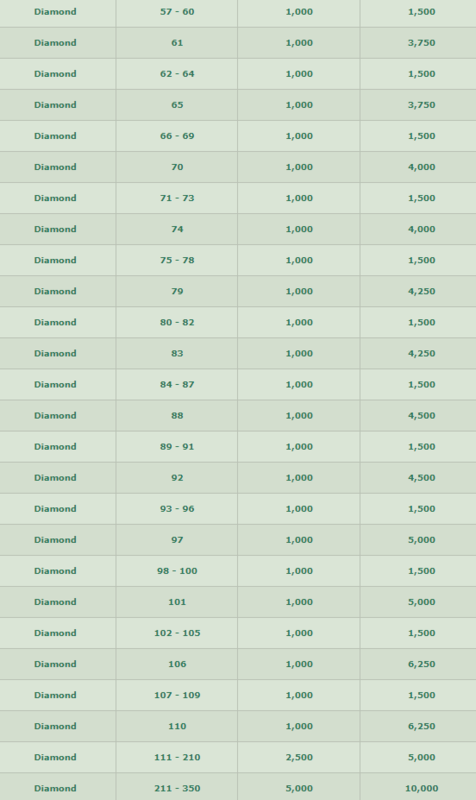 Everyone playing regularly nl50+ should be easily able to get to diamond level. It is €1500 rake over a 3 month period.